The changing face of the industry driven by market unpredictability, stricter regulations, shrinking loan demands, and increasing competition has forced credit unions to adopt new operational models.  High origination costs and increasing operative risks have made it difficult for lenders to have a cost-effective mortgage business. Despite its challenges, the financial institutions want to continue serving their customers with highest levels of mortgage products and services. As a result, many businesses choose outsourcing partners for their mortgage process to sustain and succeed in the industry. Expert Mortgage Assistance is a reputed mortgage process company offering fully-compliant outsourced services to credit unions. Our loan processing solutions are geared towards reducing costs, increasing revenue, and positioning you for growth and expansion in today’s highly competitive mortgage environment. We are committed to help you succeed by providing state-of-the-art technology, skilled expertise of certified mortgage professionals, and outstanding client experience. We work in customer-centric flexible business model that gives you the freedom to choose your desired method of loan submission. One of the leading challenges faced by credit unions and community banks is inefficiencies because of lack of human resources. In addition, lack of centralized data system and laboriously complex spreadsheets make mortgage process all the more disorganized. The best way for these lenders to bring order in their chaotic practices is by either automating the loan functions or to outsource mortgage process to a reliable vendor. Like many financial institutions, credit unions too struggle with management of their data that is spread across a system of disorganized spreadsheets. Needless to say, the individual sheets are also cumbersome with their multi-tabs for follow-ups and policy requirements for each loan. At the same time, the other files referenced in spreadsheets, such as the updated tax returns, appraisals etc., are physical files placed in a completely different location altogether. While an in-house specialist knows their way around the system, it can be difficult for other parties involved in the review process to reach the necessary files when they need them. This extra step in the mortgage process makes it impossible for credit unions to expand their business or allocate their resources for other prudent jobs. When a credit union handles the mortgage process on their own, they either take help from loan officers to manage the loan or hire more resources in-house to meet the added responsibilities. In both the situations, CU’s loan staff must step away from their core duties, such as community outreach, new customers and businesses, to coordinate the loan requirements with these people. However, there is an alternative that can eradicate the inadequacies from the system and also keep loan costs in control by eliminating the need for an additional team - outsource mortgage process. As an experienced mortgage process company, we offer you complete benefits of outsourcing your back-office requirements. Credit unions aspire to grow and expand their business but only few have the bandwidth to handle the increase in workflow that comes with it. Hiring new resources and training them can be a laborious and cumbersome task, not to mention the expenses involved. Planning resources, especially for peak times, needs special attention that can take their focus off from procedural tasks. All these make the going highly difficult for credit unions. However, credit unions can manage their growing volume of work and focus on expansion plans by hiring mortgage process companies for credit unions. With their dedicated underwriting, loan processing and closing teams, these companies are well-equipped to provide end-to-end services for all mortgage needs. With a team of efficient and certified mortgage professionals, these service providers ensure that all the loans comply with state/federal regulations. At the same time, these teams can be scaled up or down to match peak and sluggish workload situations. Experts from mortgage service companies specialize in self-managing because they come with wide industry experience. This ensures hassle free processing support thereby enabling credit unions to get ample free time and in-house staff for business development and other core activities. Companies providing mortgage back office support have a transparent process and are always at the beck and call of their client. Additionally, they have different modes of communication in place. This gives credit unions complete control over the mortgage process. Better resource planning, reduced expenditure on infrastructure and resources, quick disbursement of loans helps credit unions keep their operational costs down while pushing profits up. They reap these benefits while ensuring their process is fully complaint with regulations. Mortgage back office support providers adhere to strict quality control mechanism. So, by outsource mortgage loan processing for credit unions can rest assured of errors, inaccuracies or issues that may lead to violations. As a reputed mortgage process company, we offer you a flexible team of skilled professionals, and 24-hour operations to streamline your back-office need. With our team of certified mortgage specialists, you can leave your mortgage worries in our safe hands. Expert mortgage assistance is a reliable outsourcing mortgage partner because we understand the importance of quality control in this business. We have a tight review process in place that follows industry best practices and protects the credit union from both naïve errors and major compliance faults. Our QA specialists have thorough knowledge of loan products and important documents that perfects the loan package. At Expert Mortgage Assistance, we leave nothing to chance. So, we guarantee top-notch work quality from loan origination to closing. Expert Mortgage Assistance is a name to be reckoned with, especially when it comes to mortgage process companies for credit unions. Our unmatched service levels and due-diligence standards help credit unions perform to their potential. Looking for a reliable third-party mortgage loan processing company? Outsource mortgage loan processing support to Expert Mortgage Assistance and make your process more efficient.